Sonny has been painting for about 25 years specialising in portraits and landscapes in both watercolour, acrylics oils and pastels. He has worked and painted around the world including Scotland, Australia, Spain, Africa, America and is now back in the United Kingdom. 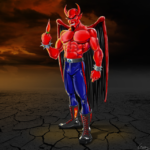 You can find Sonny visiting many of the UK chillies festivals and see more of artworks below. Chilli’s he has painted include Cayenne, Twilight, Scotch Bonnet, Black Pearl, Jalapeño, Trinidad Scorpion, Apache, Carolina Reaper, Vampire, Chocolate Habanero, Hot Tomato and Friar’s Hat.